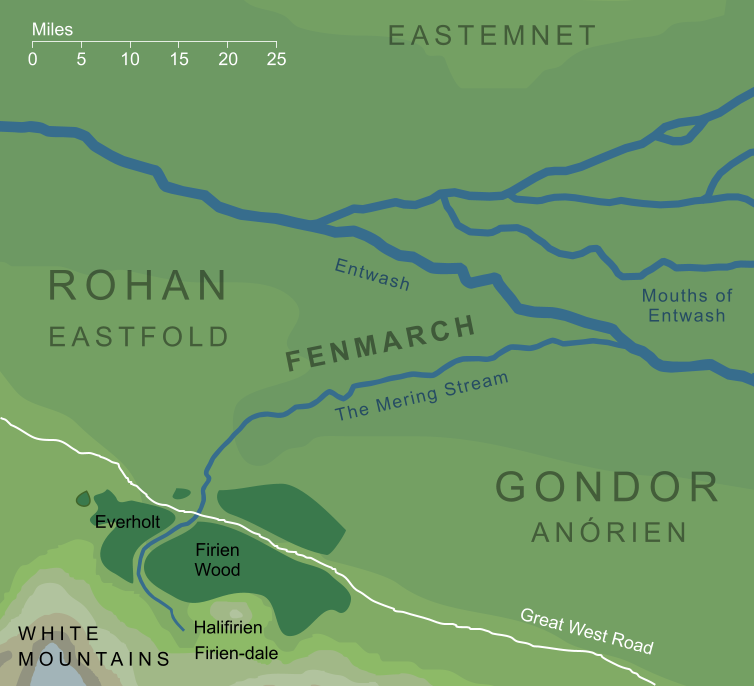 A region of eastern Rohan that stretched from the Firien Wood along the Mering Stream, and therefore marked part of Rohan's eastern border with Gondor. The fen element of the name means 'marsh' and is a reference to the wetlands along the Stream. March is an old word for 'borderland' - a reference to the border with Gondor - and has the same derivation as Mark, a name for the whole country of Rohan. In fact, Tolkien writes in his translation notes to The Lord of the Rings that on reflection he would have preferred the form Fenmark, to the extent that he recommended this alternative version for translated versions of the book. The element 'march' for a borderland is widely used, for example in the Westmarch of the Shire or the March of Maedhros during the First Age. It shares its linguistic roots with 'mark' in the 'Riddermark' (or simply the 'Mark'), which was the name used by the Rohirrim for their own land of Rohan.  Original content © copyright Mark Fisher 2004, 2018-2019. All rights reserved. For conditions of reuse, see the Site FAQ.